4th Annual Chili Cook-Off This Saturday! It’s that time of year again! 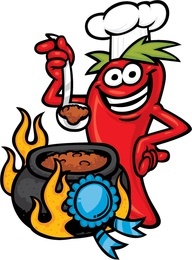 This year’s Chili Cook-Off will begin this Saturday at 8pm. It is a tough competition in 2015 with previous champions showcasing their winning recipies. To challenge the winners, enter YOUR chili by emailing us at sewickleysoi@yahoo.com before Friday! All members are welcome to attend, and any guests can be signed in! Come with an empty stomach! 47,191 paisani stopped for an espresso.